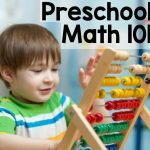 Disclosure: I am a blog ambassador for Lakeshore Learning and am compensated for my work. I received product free of charge, but all thoughts and opinions are 100% mine. I know it’s only July, but I also know that teachers like to plan during the summer months. When I was teaching, I never truly took a summer off. I took classes and also planned out themes and center ideas. 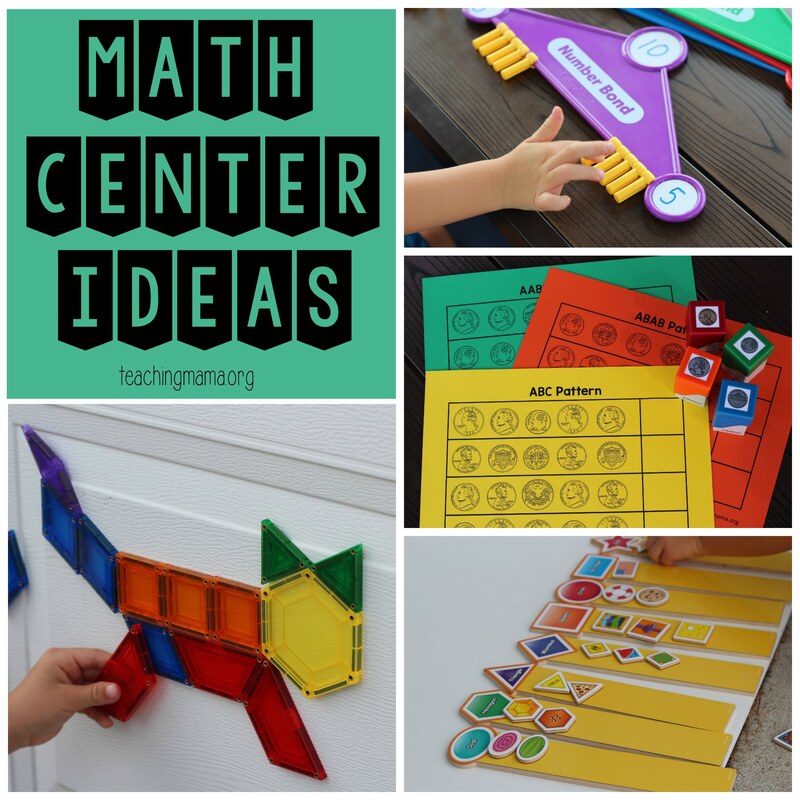 Today I’m sharing some awesome math center ideas. 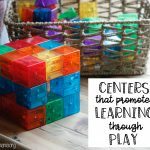 These centers would be great in early childhood classrooms. 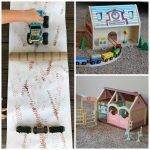 We tried these out at home with my 8, 6, and 3 year old boys. They were all a hit! These shapes are AWESOME! 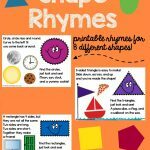 They help teach geometry and is a fun way for children to be make designs with shapes! The blocks are sturdy and the magnets are very strong. My son, Wes, is always drawn to anything he can build with, so he loved these. They are similar to Magnatiles, but I love that they are in these shapes: hexagon, triangle, square, rhombus, and trapezoid. 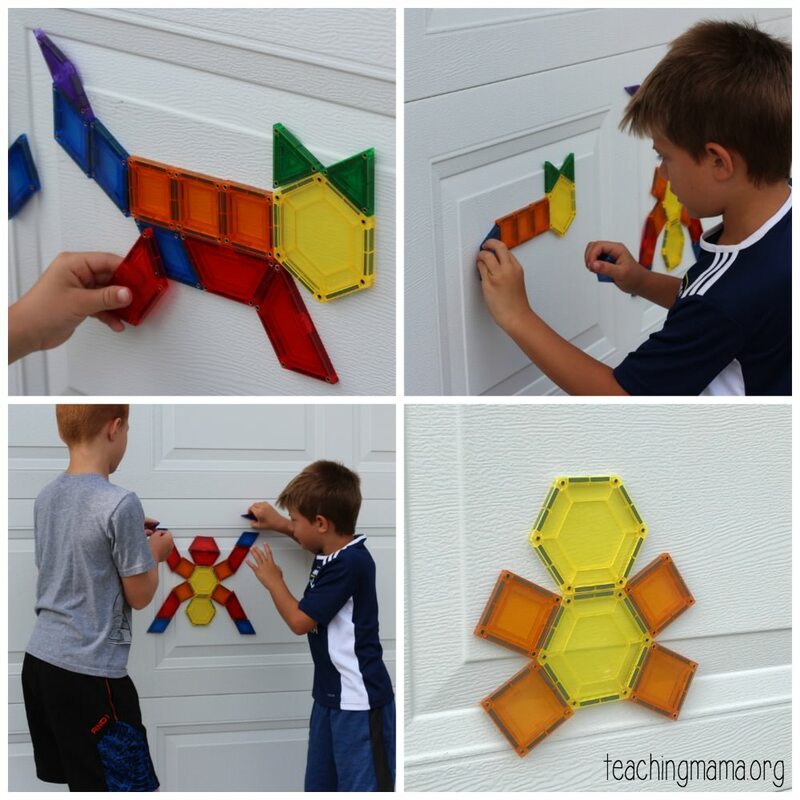 create on a magnetic surface, such as a garage door! These magnetic pattern block builders are great for shape recognition, sorting, pattering, spatial reasoning, and creativity. 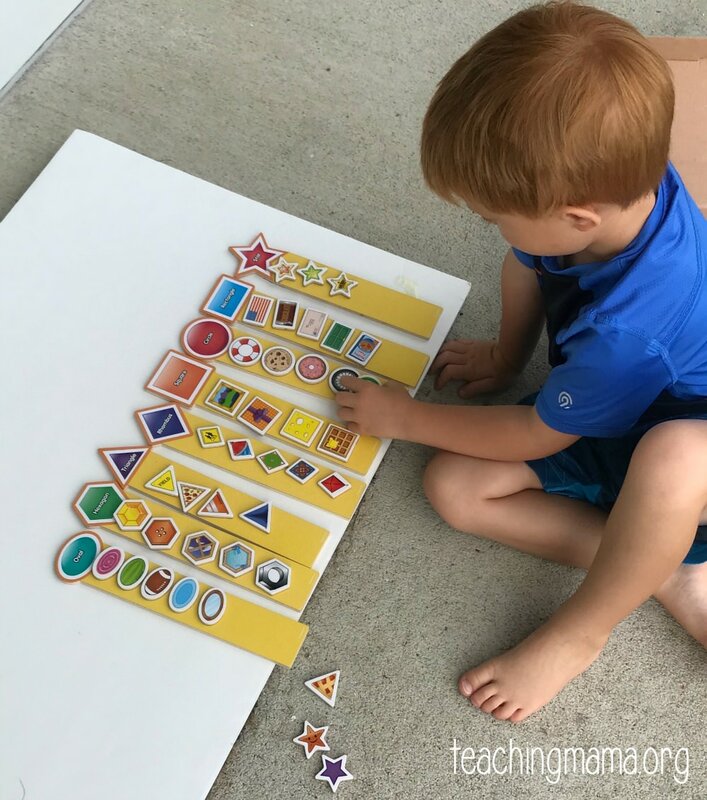 This sorting activity was a favorite for my 3-year-old! He has done this activity so many times and he is so proud that he can do it on his own! There are 8 shape rods and 40 magnets to sort on the rods. All the shapes are real-life items, which is fun! All you do is mix up the magnets, set out the rods, and have the child sort the magnets by shape. They simply stick the magnet to the corresponding rod until all the magnets have been sorted! 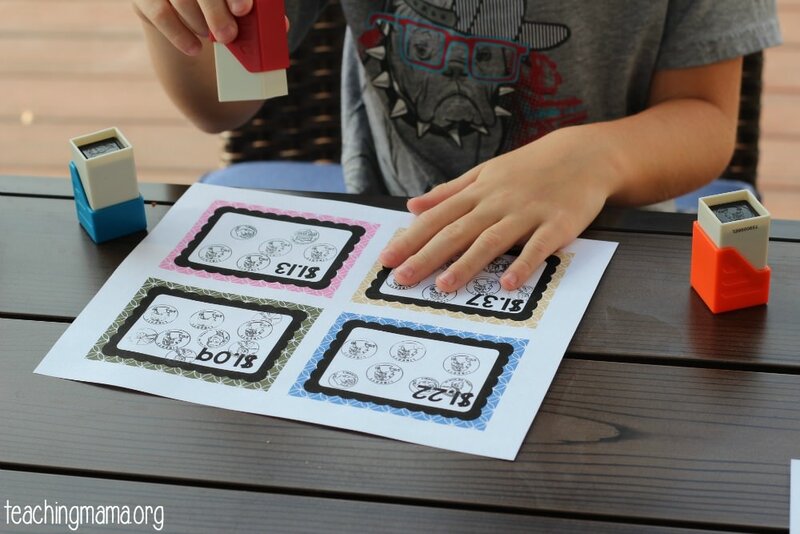 I love this activity because it is FUN and my son didn’t feel like it was a learning activity. We talked about the names of the shapes, if they were round or had sides, and how many sides the shape had. It was all informal, but he retained so much from this activity. The best part of all, he felt so accomplished after he sorted them all! 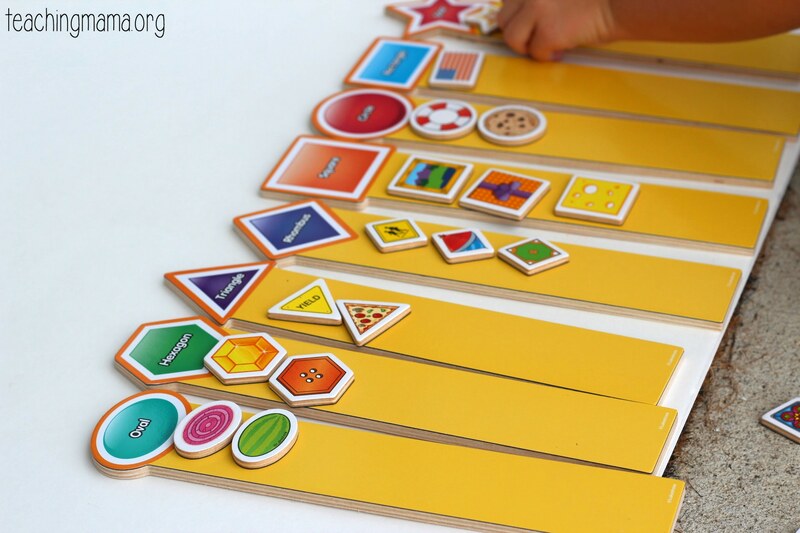 I think these magnetic shape sorting rods would be an amazing idea for a math center or a fun activity for kids to do at home. 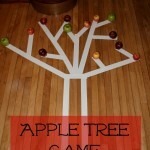 This next idea is great for older children, such as kindergarten to 2nd grade. This is a visual way to see addition and an awesome way to work on number sense and composing & decomposing numbers. 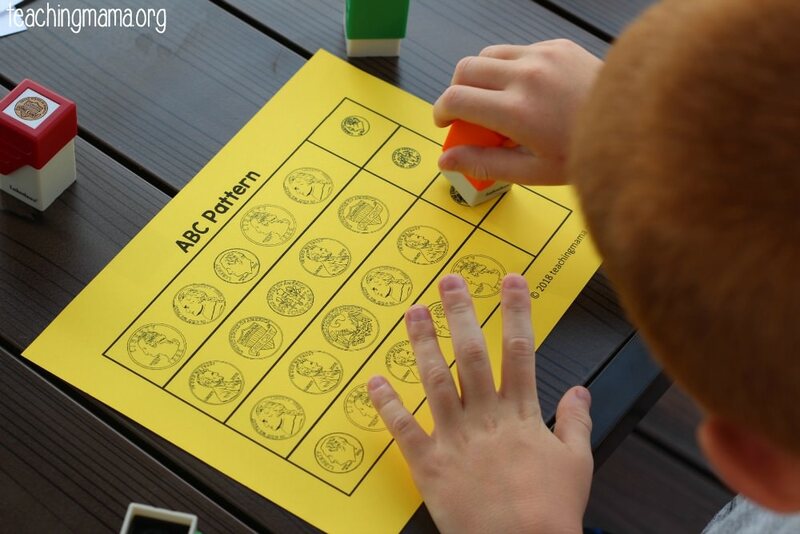 For this activity, you write a number (1-20) on the top circle. Then snap on that number of counting pieces and slide them to decompose the numbers. 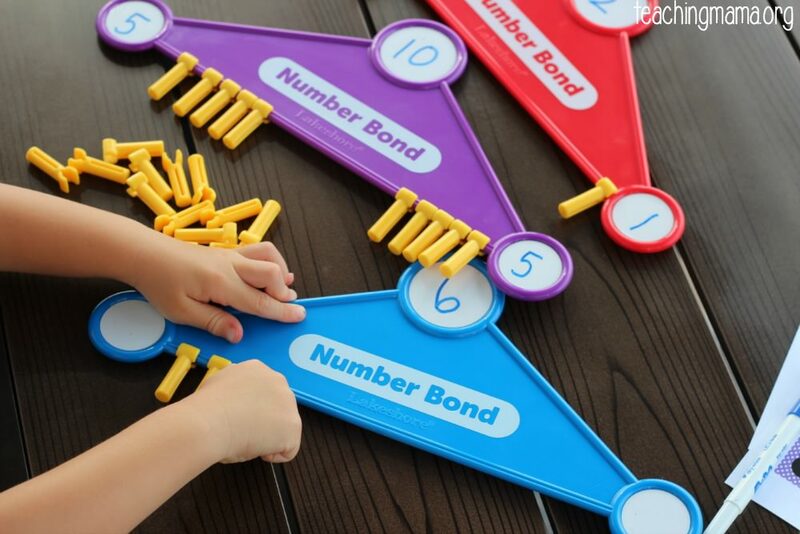 I think this number bond activity is a fabulous hands-on math activity. 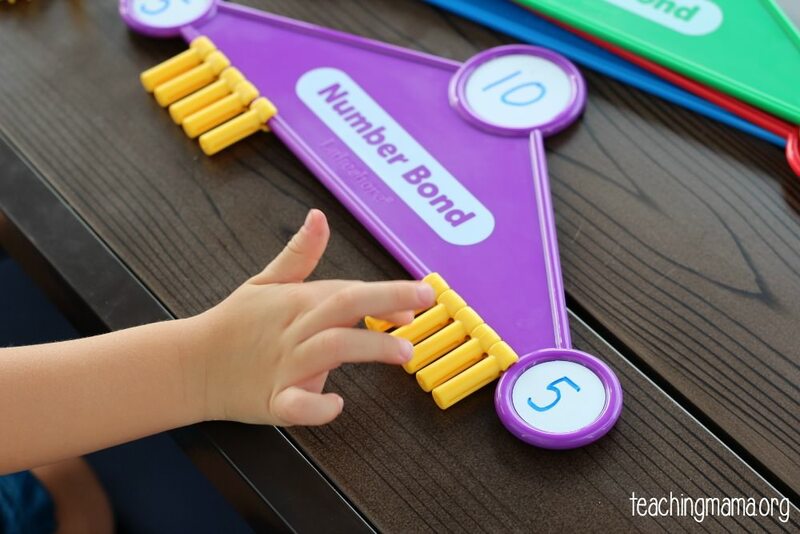 Placing the counting pieces onto the board is a great way to work on fine motor skills, too! 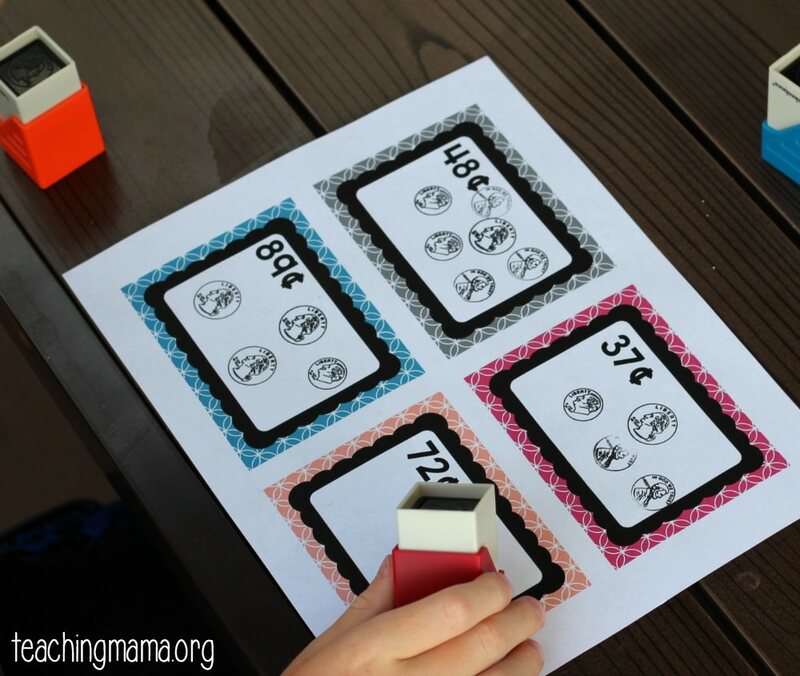 These coin stamps was my 8-year-old’s favorite product! This set comes with 8 stamps, the front and back sides to a penny, nickel, dime, and quarter. I love how easy it is to work the stamps! I can think of so many fun ways to use these in a center. 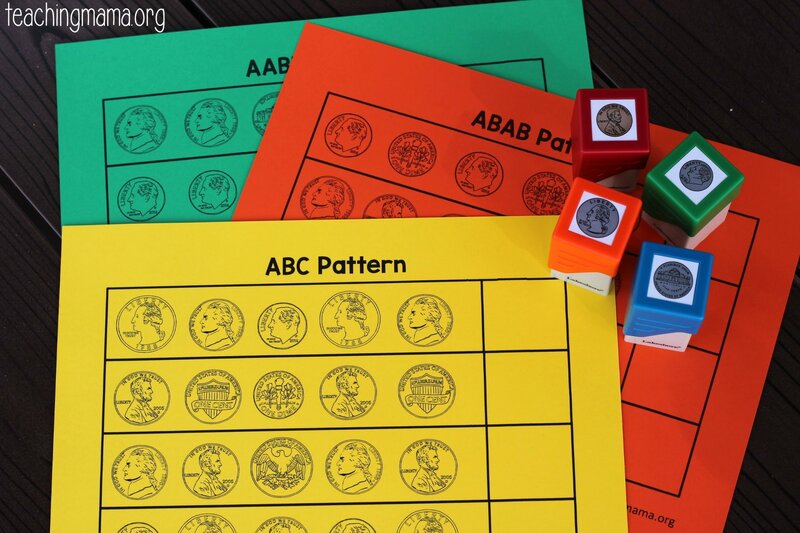 Doing these patterns is a great way to talk about the names of the coins, too! 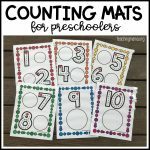 I also thought they would be great for older kids and adding up the amounts of a coin, so I created another printable to practice this. There is a coin amount in the left corner of each box and the child uses the coin stamps to show the amount. My 6 and 8-year-olds thought this was really fun! These coin stamps are such good quality and I know they will last for a long time. 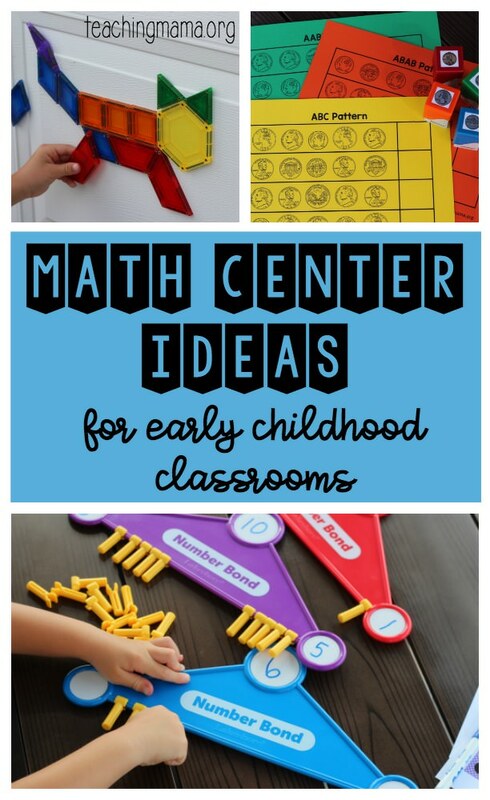 I hope these math center ideas are helpful to you! All these products are top-notch and so fun for kids! If you’re ready to fill your cart, make sure to use my exclusive coupon. The coupon is buy one, get one 50% off. You can get the code RIGHT HERE or click on the button below! You can check out more from Lakeshore by visiting them at LakeshoreLearning.com or on social: Facebook, Instagram, Twitter, Pinterest and YouTube. Find your closest store here! I want to say that this is really a brilliant Idea. When I buy this for my son and give him to Play with this he is very happy and he is enjoying it and my son didn’t realize that it was a learning activity. Thanks for such a brilliant Idea.